Yesterday’s ICSA event “Brexit – What’s Next?” was an eye-opener; an insight into everything that has happened since the UK held their referendum back in June 2016 right up to the House of Lords debate on the article 50 bill. AIB’s Brendan Donovan provided insights on Foreign Exchange Risk and Solutions; outlining market movements, trade considerations, product options and advisory services available to business given what lies ahead – I’ve included a link to their Brexit Centre Info site at the end which will prove handy. Subsequently, William Fry’s Cormac Little and Eoin Caulfield discussed the legalities of this ongoing saga and issues for ICSA members respectively. My own two cents given the wealth of information shared yesterday is that putting aside the fragility of the global political landscape, there are real concerns with Brexit where Corporate Governance is concerned with effects ranging from changes in company structures to operational issues such as tax and treasury, employment, data protection, intellectual property, litigation and insolvency. With more than 6,000 directives, 18000 European Judgements, and a whopping 140000+ Regulations – the practical impact of Brexit remains to be seen where the UK will effectively seek self-determination on (amongst other issues): Immigration, Employment law, and a Common Consolidated Corporate Tax Base. 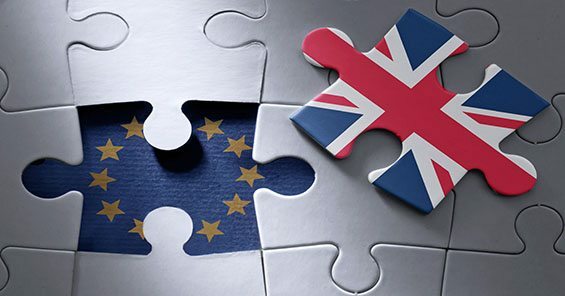 There will be a whole host of jurisdictional considerations with the UK outside of the EU – Absorption and mergers no longer being an option with the eradication of cross-border corporate approaches, for one. Passporting rights currently aligned to the single market would cease upon our neighbours’ exit from the EEA; considering the sheer volume across multiple directives including AiFMD, MiFID, UCITS, and Solvency II to name but a few – there will be a direct impact on how thousands of companies currently do business. That said, there is a long way to go – and as evidenced in global politics in the past few years, nothing is certain thus prudence, diligence, and a proactive rather than reactive approach to taking stock must become the norm whilst we await the “new” norm post-Brexit.